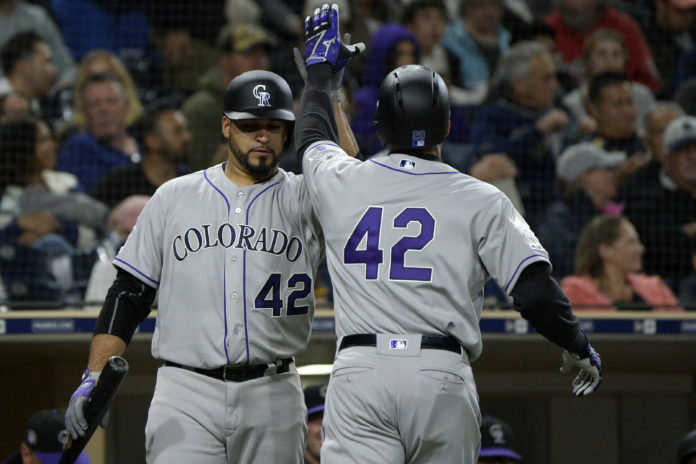 Continuing their road trip along the coast, the Colorado Rockies defeated the San Diego Padres 5-2 to earn their second consecutive victory. Colorado now sits at 5-12 on the season, winning a pair on the heels of an eight-game slide. Ahead are takeaways from the Rockies’ victory in Southern California. Nolan Arenado hit a home run in his second consecutive game Monday night against the Padres. With the Rockies up 2-1 in the sixth inning, Arenado blasted the first pitch he saw in his at-bat over the wall in left-center field to provide the Rockies some separation on the scoreboard. Arenado has struggled out of the gate in 2019 and endured the longest home run drought to start the season of his career. That streak ended in the Rockies’ 4-0 victory versus the San Francisco Giants Sunday afternoon. Ian Desmond was the star of the game in the Rockies’ victory. The 33-year-old put together a solid performance in Monday’s ballgame, accounting for three of the Rockies’ runs. Desmond put the Rockies on the board first in the bottom of the second inning. Down 0-1 in the count with runners on second and third, Desmond slapped a ball to right field that was deflected by Framil Reyes, scoring two runs. The two runs were the first runs the Rockies have scored in the second inning this season. Desmond later blasted a solo home run in the seventh inning, his first longball of the season. While his batting average is still below .200, Monday’s performance is certainly encouraging for Desmond. He struggled to hit for average last season but supplemented base hits with home runs (22) and RBI’s (88). Additionally, Desmond has thrived against the Padres since joining the Rockies. 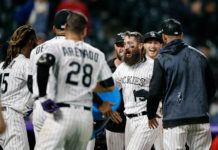 He is one of only six Rockies to hit six or more home runs at Petco Park, joining Arenado, Charlie Blackmon, Todd Helton, Carlos Gonzalez and Troy Tulowitzki. 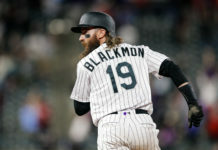 With Daniel Murphy, Ryan McMahon and David Dahl all sidelined due to injuries, it is critical that Desmond steps up and delivers offensively to try and right the ship in their absence. Antonio Senzatela made his first start of the season for the Rockies Monday after starting the season on the injured list. Senzatela was sidelined with a heel infection, stemming from a blister, that prevented him from starting the season with the major league club. The 24-year-old looked sharp against San Diego, hurling 6.2 innings, allowing one run on one hit while striking out four batters. Senzatela has bounced around between the starting rotation and bullpen the past few seasons; however, with Chad Bettis struggling, he has an opportunity to become the Rockies fifth starter should he perform well moving forward.